Shredding Appointments Available Monday to Friday! Handling confidential paperwork is a high priority, and you don’t want to have to wait weeks for an appointment. With A1 DTATASHRED, that’s never a concern – you can call today and have an on-site appointment as soon as tomorrow! We’re available Monday through Friday for all of your document destruction needs. When you’re ready to have your private paperwork destroyed, we’re ready to serve you. We make it easy to get an appointment. Simply give us a call and we can explain all of the options available to you. We will answer all your questions and help you select the best service for your needs and give you a quote on the spot. Then, we’ll set up a convenient time to arrive at your Medway MA site to shred your documents. There’s nothing more convenient and secure than being able to have your documents destroyed without leaving your home or business. You have more important things to worry about than hauling papers to some location. Instead, let us come to your Medway MA location with our on-site shredding trucks. You can even watch your documents be destroyed on a special screen on the side of the vehicle. One-Time Shredding – Although many business documents are confidential, it’s possible that you don’t have enough paperwork to need shredding often. If that’s the case, no problem! Simply call us to set up a one-time purge service any time you’re ready. We’ll come to your location and take care of your documents. Then, call us anytime you need us in the future. Scheduled Shredding – Most companies need document destruction on a regular basis. After all, half of all documents have some kind of private information on them that the law requires you to destroy them when they are being disposed of. Don’t take a chance – have us shred your papers regularly. We make it easy with free security containers you can place around your office for employees to put paperwork in when they are done with them. You can arrange for us to come to your business on automatic intervals such as weekly, biweekly, or monthly. It’s not just businesses who have a lot of confidential paperwork. Did you know that identity thieves’ most lucrative source of personal data is your trash? Don’t take a risk. Instead, arrange for our onsite residential shredding service to come to your home and destroy your personal private documents. You can watch your papers being destroyed, and it’s easy to make an appointment that fits your schedule. Is Your Hard Drive Really Blank? Computers seem to age very quickly and it’s not long before you have a newer model. What do you do with the old one? A single hard drive holds millions of pages of information, and some of that is very personal. You can’t simply delete the hard drive and hope for the best. Instead, have us come and destroy your hard drive on-site. We record each serial number and give you a document of destruction so you can know that the drive is truly gone. When someone knocks at your door, are you certain who they are? You will be when A1 DATASHRED’s employees arrive. All of our staff wear uniforms and have photo identification. Our truck is also clearly marked. All of our employees have background checks and regular drug tests. They have thorough training and sign confidentiality agreements. You can rest assured your documents are handled with top-level security throughout shredding. Not all shredding companies are created equal. Some simply don’t have the same standards of security and may put your information at risk.  That’s why it’s important to work with a AAA Certified document destruction company with The National Association of Information Destruction (NAID). A1 DATASHRED is proud to carry this certification, which shows that we exceed even the strictest security guidelines. We are regularly audited to maintain our certification, so you can trust us every day. Are you concerned that you might be adding to landfills or hurting our planet if you choose paper shredding? We’re glad you care – and we do too. We recycle all of our shredded paper to be used in other paper products. One ton of shredded paper saves 17 trees, and you can sleep easy knowing you had zero impact on the landfills. Are you ready to get your private information securely destroyed so no one can take it? Contact us for an appointment today!